Doug Russell, a fellow artist and my friend and former roommate at Iowa, also moved to Turkey in 1997. He ended up teaching art and English classes at Uludag University. 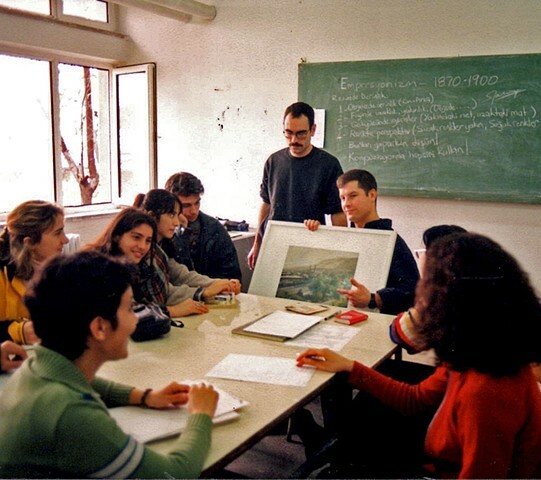 This is a photo of us (me seated and holding the painting and Doug moustached and standing behind me) in one of my painting classes talking to the students. Doug is now a professor of art at the University of Wyoming.